Here is the final part of the reviews. Please find part one here, and part two over here. 35. 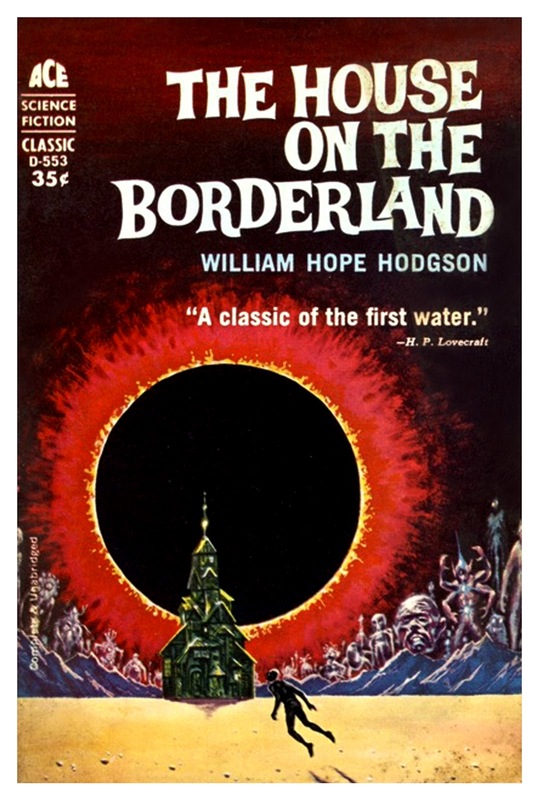 The House on the Borderland: The original influence on Lovecraft and other weird fiction writers amongst many others, William Hope Hodgson is a towering figure in horror, fantasy and science fiction which he intertwined so effortlessly, especially in this book. He was a poet, a bodybuilder, a stunt biker, a personal trainer, notably applied rough restraints to Houdini before serving as a Lieutenant in World War I, during which he was unfortunately killed. 36. Patternmaster and 37. Wild Seed: Octavia E Butler’s Patternmaster series details a history involving magic/mind control continuing from the Ancient Egyptian period to a far future. 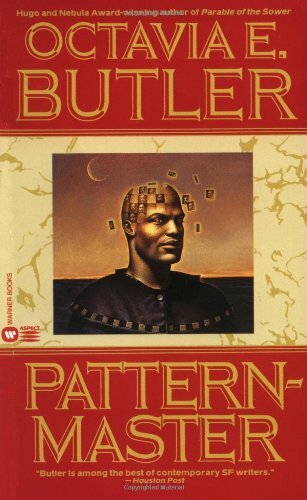 The first book published in this series, Patternmaster (though the last in the chronological order), is set in the future where the human race is divided into mind controlling “Patternists”, mutes (humans without powers) and Clayarks (sort of a hybrid animal). It is a bildungsroman story of a patternist as he grows and fights for his position in the social hierarchy. The story has a lot of interesting ideas, but it is not too well presented, and definitely doesn’t show what Butler is capable of, as a writer. Wild Seed, on the other hand, was probably written at her peak. Her portrayal of slavery is unfeigned and not scattered with mawkish sentimentality. It discusses the ethics of bio-engineering, power, racial and gender based animosity, along with the idea of what it is to be human when you have so much power. Doro is perhaps one of the scariest people you will meet in fiction, and I only wish there was more of his internal monologue. 38. 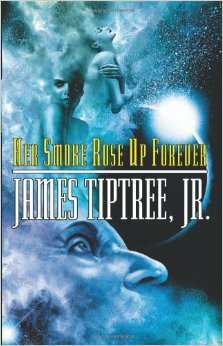 Her Smoke Rose Up Forever: This is a collection of science fiction and fantasy stories by the remarkable James Tiptree Jr. It touches upon issues such as the nature of perception, feminism, psychology, and biology as Tiptree Jr goes about breaking down the boundaries between inherently “masculine” or “feminine” writing. The stories are a wistful, tragic commentary on humanity and are moving, harrowing, thought provoking, sceptical, charming and sometimes miniatures of a more monumental narrative. “Houston, Houston, Do You Read?” is one among them that starts off as a tale of the most absorbing, terrifying feeling of the smallness of humans (for they are lost in time and space) and our ineptitude when faced with the universe, which itself would make a fascinating movie. But, the story then proceeds in an unexpected direction, despite us knowing that Tiptree Jr is bound to make a commentary on gender roles. The very alien narrative voice of the spider Moggadeet in “Love is the Plan the Plan is Death”, gives us a melancholic, almost submissive account of the mindlessness of humans as we follow the path of endless reproduction, without anthropomorphizing the alien too much, thus preserving the terrifying sad outlook but giving us a sympathetic character. The prose is brilliant, challenging, compelling and imaginative. 39. 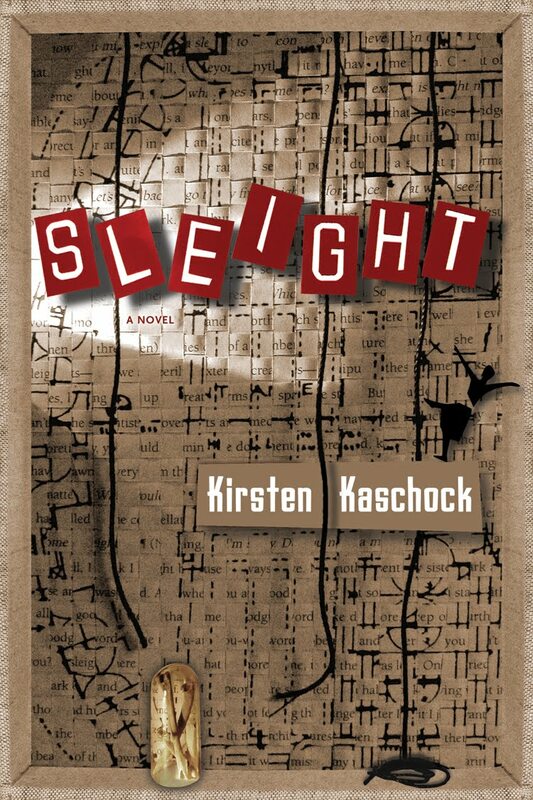 Sleight: Kirsten Kaschock’s Sleight is about a rigorous avant-garde theatre called “Sleight” which combines elements of dance, architecture, acrobatics and voice. It is very much an experimental prose novel that distances us from the exact nature of the art form by using vaguely familiar words. I think this distancing is a little overdone as one finds it difficult to care about the characters described like they were almost absent. Although it is original, I felt it could have been very impressive but for the somewhat sluggish nature of the whole story. 40. 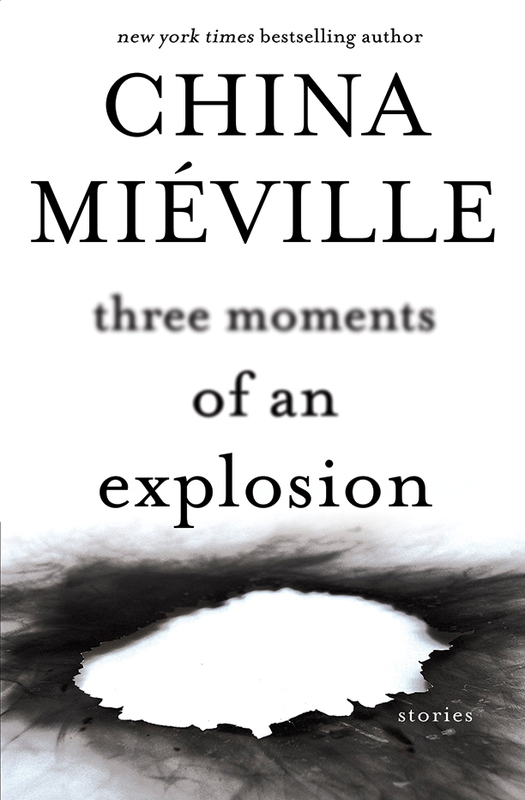 Three Moments of an Explosion: Stories: This short story collection of China Mieville’s has got all the wonderful elements of what makes him such a fine writer. Monsters, floating icebergs, walking oil rigs, fake trailers, commentary on society, politics, academia, and his memorable prose. The collection is quite varied, so you’re bound to find more than one story that you will remember for a long time. For me, it was the final story in the collection called “The Design” which is period piece set in Glasgow and involves scrimshawing. Not only is it weird and absorbing but it concludes in an unlikely, tear-jerking manner. Quite a few of the stories are experimental, and some don’t work so well, but most of them do. 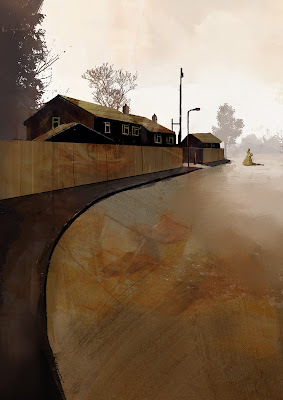 It felt as though China Mieville was using the medium of short story to see how far and wide he could push himself in style and his already striking imagination. 41. 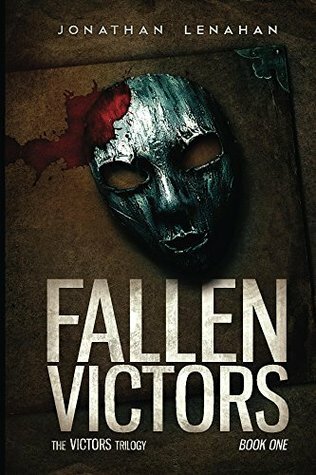 Fallen Victors: Jonathan Lenahan’s debut novel is gritty, violent and has got some interesting characters. It is not without some touching moments, and the character driven plot lends itself well to a mature audience as each of the characters meditate on themes of trust, selfishness and politics. 42. The Street of Crocodiles: Bruno Schulz’s dense and atmospheric language transcends translation and that in itself is an incredible feat in a book that is infested with metaphors, both uncommon and common. It swings in and out of irrealism, providing us with glimpses of his multiple possible alternative worlds that are as vivid as they are scary. 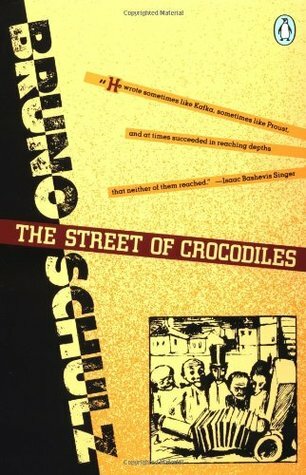 Somewhat semi-autobiographical, The Street of Crocodiles is a post-facto reflection of Schulz on his childhood in Poland and, more so, on his time with his father. He brings inanimate objects to life through his eccentric metaphors and baroque language. It is a delightful collection of surreal, dreamlike short stories. 43. Lavinia: Lavinia is a character from “The Aeneid” who has a significant say in Virgil’s epic but barely appears in the poem save for one memorable occasion when her hair catches fire. Ursula K Le Guin, in this odic and imaginative addition to Virgil’s poem, gives Lavinia a voice that Virgil did not. The narrative is very self-aware, almost as if Lavinia knows that she only exists textually and lives through Virgil. It is compelling, original, insightful and a seamless fabric woven into Virgil’s world. 44. 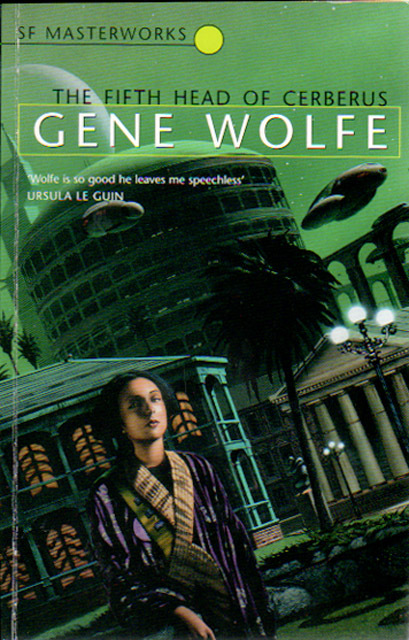 The Fifth Head of Cerberus: Gene Wolfe is one of the finest authors alive. Admittedly, he is not easy to read but The Fifth Head of Cerberus is a good place to make yourself familiar with his allusive prose. 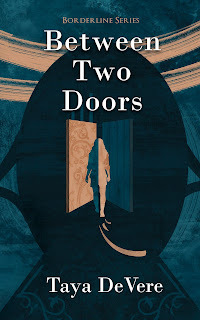 It is a collection of three different stories, so vastly different that you will see the clever connection between the three perhaps only at the end or in a re-read or even a further re-read. That is not to say that he tries to be too clever. It is the incredible subtlety, that of telling a story from the point of view of someone belonging the fantastical world (it’s a bit surprising that not more fantasy is like this, rather than having omniscient narrator. It seems like an obvious way to go about telling or showing something that is alien and difficult to understand. An example of such work is the Codex Seraphinianus) that makes us try to figure out what’s going on, and we eventually do, when the whole story is told. The book is named after the first novella in it, “The Fifth Head of Cerberus”, which is a coming of age story of a narrator called “Number Five”, as he looks back on his life and the person he murdered. Much of the world is introduced slowly to us. For instance, rather than saying, “Hey, here is a mechanical man!”, Gene Wolfe would introduce the said mechanical man by making allusive references to his heavy footfall, or the metallic creak of his knees, or the inability of the mechanical man to sit, and the portrait of the mechanical man is thus slowly revealed. The second novella, “‘A Story’ by John V Marsch” shifts to an ancient past and to a sister planet. It is a western and gives vague hints of the predecessors of the people in the first and the last novella. There’s a more obvious commentary on colonization here. “V.R.T”, the third novella, is probably my favourite as it tells the story of an anthropologist in the form of his diary which is read by a disinterested police officer. There are other symbolisms and meditations on identity and oppression, which Wolfe in his typically tragic-Catholic perspective examines deeply. 45. 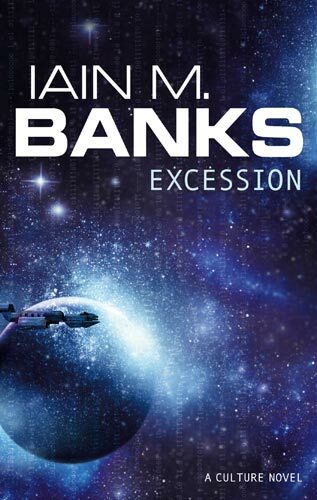 Excession: The fifth book in the Culture Series, Iain M Banks has definitely been given more freedom with his prose here by his editors who found his early drafts of his previous books too “purple”. The Culture is a post-scarcity, somewhat anarchist galactic economy, where technology is so far advanced that human sciences and artificial intelligence are treated at the same social level. Most of the administration and planning is done by “Minds”, a high form of artificial intelligence. This book is more about those Minds than the other books in the series, and the conversations between them in the form of signals is absolutely enthralling, funny and engaging. As a perfect black-body sphere appears out of nowhere in the Culture, the Minds are faced with moral and ethical dilemmas on how to best make use of that. Amidst this huge galactic crisis is also a tragic love story which, despite being absolutely insignificant in the simple fact that human affairs are so unimportant and quaint when compared to the grand scale of dilemmas faced by centuries-old Minds, is nevertheless moving because Banks weaves it so effortless into the greater fabric, with intelligent exegesis on gender, love, individuality and companionship. I would recommend reading Consider Phlebas, the first of the series, before you get to this excellent work. 46., 47. and 48. 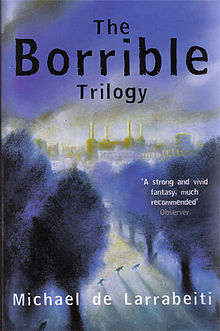 The Borrible Trilogy: It’s a sad reflection of Thatcher’s Britain and the atmosphere during the early 80s that this excellent heartfelt fulmination of classes in society by Michael de Larrabeiti was pulled out of print. Borribles are small children who’ve run away from home, are faced with a society that is neurotic about them and are ultimately “Borribled”. They eventually wake up with pointed ears and live for hundreds of years as children, wherever they can, stealing whatever they need to survive and having nothing to do with money, making their own rules and proverbs. Thus, both in the structure of the books and in the nature of the protagonists, de Larrabeiti derides materialism. Across the three books, there are ruthless bloody adventures that offer no comfortable escapes for the reader. It takes a little while for the commentary to get going, but you eventually get to appreciate the dirty, ragged, brave and confrontational little adventurers. Each and every Borrible needs to earn his or her name, which has something to do with the adventure he or she undertakes. This is a wonderful, mongrel London, with its counterculture and subversive dwellers. Michael de Larrabeiti provides a stage for great camaraderie and a heart-wrenching, throat-tightening narrative of the endearing Borribles who refuse to be the sheep in society. These books are as relevant now as they were back then. 49. A Tale of Two Cities: I feel Charles Dickens is often misrepresented as having written dusty old boring stories with excessive morality. I think this is unfortunate. 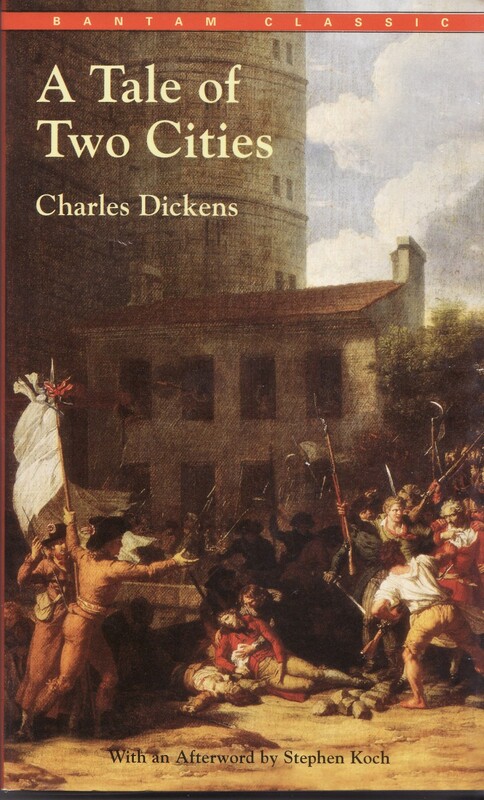 And it certainly isn’t the case in “A Tale of Two Cities”, with the prose being very artistic, lush and beautifully capturing a wide range of characters, their peculiarities, varied social classes and politics. He portrays both sides of the French Revolution and depicts the aristocrats and the poor in both a sympathetic and disdainful fashion. It’s mostly up to the reader to make his mind up about the madness and violence, and how much of a sacrifice is worth a change in the society. Dickens’ frequent motifs of resurrection perhaps betray what he felt about the slippery slope of a revolt. It is a dark story and if certain characters appear to be too virtuous, I believe the purpose of this was to show that the aspiration of being better is itself a major step for humanity, rather than to drill morality into our minds. That is an important point and this is an important book. 50. 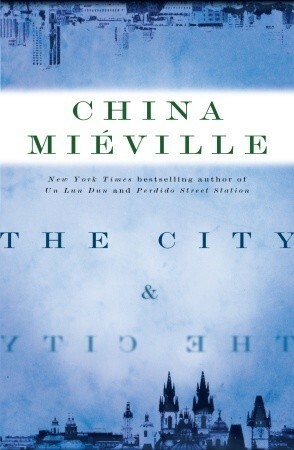 The City and The City: The final book in this list is actually a re-read of China Mieville’s The City and The City in preparation for a radio book interview where I had the pleasure of briefly talking to him. I have already spoken this book a few years ago. To add to that, I can now say that I see the influence of Bruno Schulz’s surrealism on the prose, having read the Polish writer’s work recently. It was odd that James Naughtie kept referring to this book as an allegory in the interview, even when China Mieville insisted that it wasn’t!